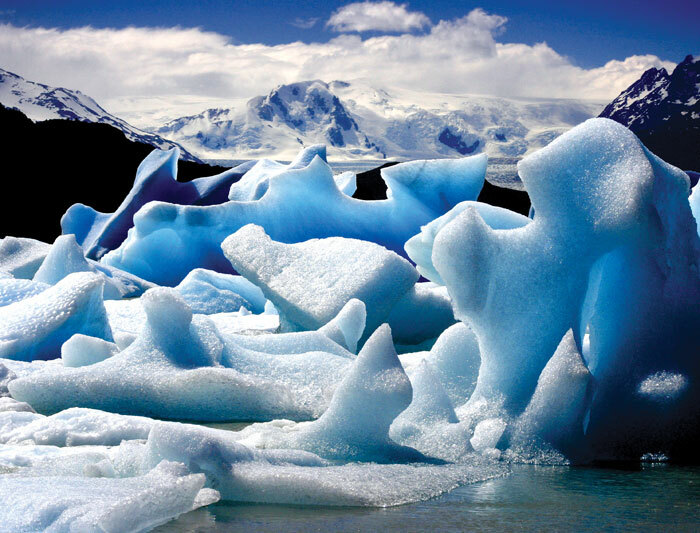 Venture deep into the frozen heart of Patagonia on an adventure through South America’s most spectacular scenery. Discover the pulsating energy of Buenos Aires before heading south to Patagonia; explore some of the planet’s most breathtaking landscapes and visit Ushuaia, the world’s southernmost city. Walk through pristine wilderness, spot exotic animals and gaze in awe at the towering Perito Moreno Glacier. Travel to Bariloche for indulgence and relaxation and finish the tour in sizzling Santiago. 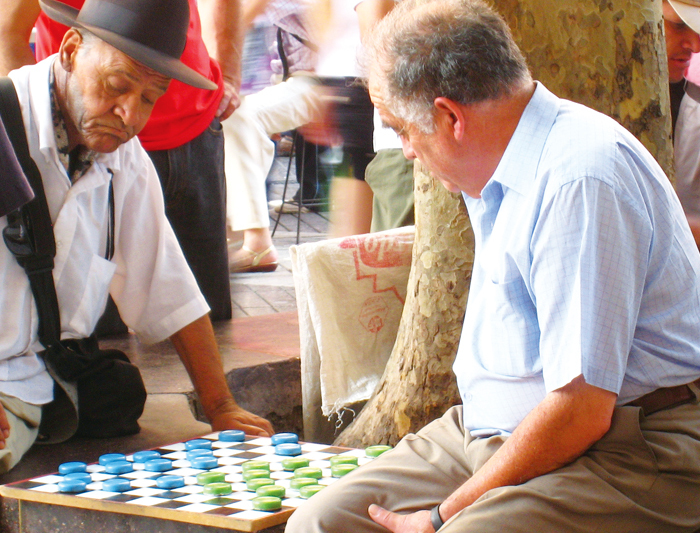 Along the way, meet friendly locals and be enchanted by the charming south coast of South America. Border information: if you are finishing in Buenos Aires, you will most likely exit Argentina at Buenos Aires Ministro Pistarini International Airport, also known as Ezeiza Airport (IATA code: BUE/EZE). Welcome to the cosmopolitan Argentine capital of Buenos Aires! There will be an important group meeting at 6:00pm at the joining hotel - please look out at the hotel reception for a note from your leader with more details about this important meeting. Please note that many of the options listed below will only be possible for those with extra time in Buenos Aires before the start of your trip with us - please contact the Sales team if you would like to book pre-tour accommodation with us to have extra time exploring Buenos Aires. In Buenos Aires we will stay in a centrally located hotel. Hotel for the night: Hotel Mundial Hotel Mundial Avenida de Mayo 1298 - 1085 Buenos Aires Argentina Tel: +54 11 5254 0001 About Buenos Aires: At the mouth of the River Plate estuary (where the Uruguay and Paraná rivers flow out into the Atlantic Ocean) lies the fabulous city of Buenos Aires, the cosmopolitan capital of Argentina. It's a buzzing, energetic city that often feels more European than Latin American, so much so that it's often referred to as "the Paris of the South". There is a huge amount to do see and do here, and it's a fantastic city to explore on foot and using the extensive metro system. Some areas to check out include San Telmo, a bohemian district full of charm, antique shops, street markets, and some excellent bars; Palermo, with its fantastic restaurants and nightlife; and Recoleta, the "Mayfair" of Buenos Aires and home to the La Recoleta cemetry, Eva "Evita" Perón's final resting place. 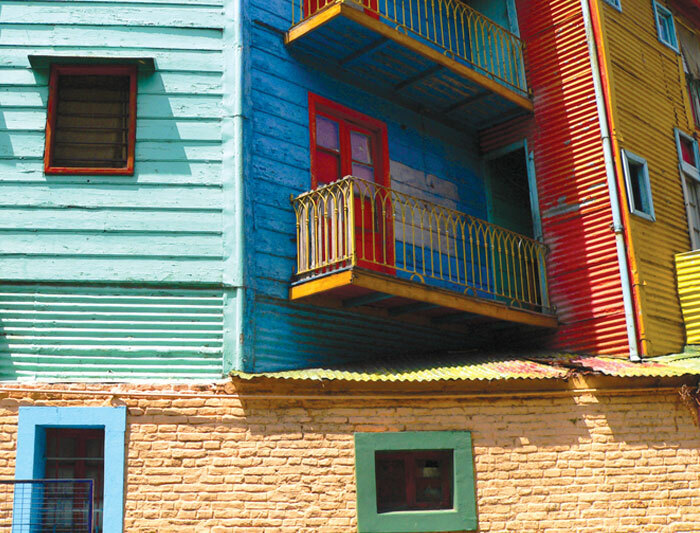 The waterfront area known as La Boca is also worth exploring, a very photogenic district with its ramshackle buildings being painted in a rainbow of different bright colours. Everywhere you go you'll be surrounded by some fantastic architecture. The Plaza de Mayo is perhaps the most historically interesting, as this is the site of the Cabildo (original town hall), Casa Rosada (the Presidential Palace) and the cathedral where the body of General San Martín lies. In the evenings, you are spoilt for choice - Buenos Aires has a vibrant nightlife, with a huge number of bars and night clubs to choose from. Restaurants here vary from cheap and cheerful to world class, and it's a great place to get stuck into some of Argentina's finest steak and red wine. 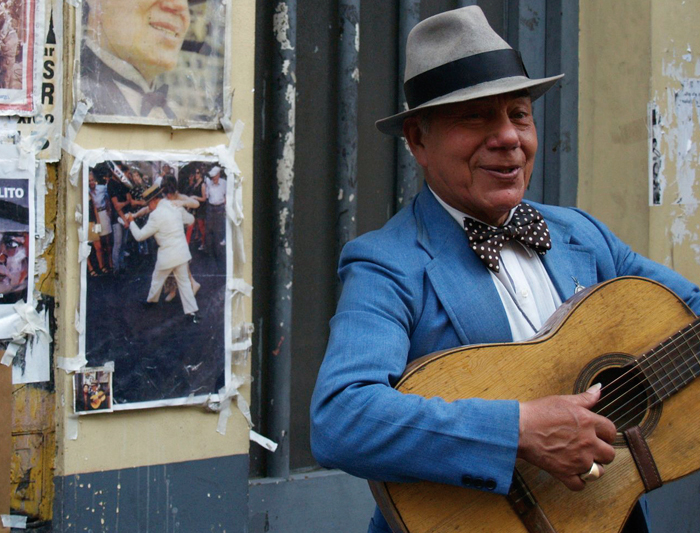 Of course this is also the home of Tango, and there are many evening Tango shows you can buy tickets for or even take a dancing class yourself! Today we begin our journey from Buenos Aires will a full day drive across the pampas and grasslands of the province. Tonight we will wild camp en route, possibly in the coastal village of Monte Hermoso. Estimated Drive Time - 10-11 hours (please note that all drive times given here are the approximate number of hours that the truck will be in motion only, and does not include any time taken for coffee or lunch stops, border crossings, photo stops, activities en route, comfort breaks, shopping stops, toilet stops, etc. The times given are approximate estimates only and whilst given with the best of intentions, the drive times are heavily dependent on traffic, road conditions, weather, police roadblocks, and many other factors - flexibility is essential on any overland trip!). Today we continue our journey south with a full day drive to the coastal town of Puerto Madryn. In Puerto Madryn we will camp in a basic campsite. Estimated Drive Time - 10-11 hours. About Puerto Madryn: Puerto Madryn is a port town on the South Atlantic coast of Argentina. The original settlers here were Welsh, founding the port and colonising the Chubut River valley - these original settlers came here in 1865 as they felt like their Welsh customs and traditions were being eroded back at home and that they should emigrate to better preserve them. Some of the smaller communities are still very proud of their Welsh heritage and retain many of the original immigrants' traditions, and some small towns such as Gaiman and Trelew you can even go for a Welsh afternoon tea in one of the local tea houses. A distinct Patagonian dialect of the Welsh language has been spoken in the region for over four generations, but although it is now quite rare and you are unlikely to hear anyone speaking it, there are three bilingual Welsh-Spanishs schools in Patagonia, and it is thought that 5,000-10,000 people speak Welsh as a first language and a further 25,000 as a second language. Puerto Madryn is most famous as the gateway to the Valdés Peninsula, a beautiful rocky outcrop known for its incredible wildlife - if you visit here, you will be able to see guanacos, armadillos and Magellanic penguins close-up, and seals and sealions from afar. If you're lucky you may spot an orca or a Southern Right whale in the waters surrounding the peninsular. Today we will drive south along the coast and have an included visit to the incredible remote colony of Magellanic Penguins in Cabo Dos Bahias (Cape Two Bays), close to the town of Camarones. After seeing the phenomenal sight of thousands of penguins nesting on the shore, we will head to the nearby small town of Camarones. In Camarones we will camp in a basic campsite. Estimated Drive Time - 4-5 hours. Activity Approximate Cost Visit the penguin colony at Camarones Free About Camarones: Situated at the northern part of the vast San Jorge Gulf on the South Atlantic coast of Patagonia, Bahía Camarones and Cabo Dos Bahías are both important nesting sites for large colonies of Magellanic Penguins. Camarones is home to around 25,000 of the penguins that nest here on the windy, remote and rocky coast. Between September and April, the penguins come to these sites to incubate their eggs and prepare their offspring for migration - each couple stand in front of their nests protecting the eggs from birds and other predators, and occasionally one adult goes to the sea for food. There are some fantastic walkways set up near some of the colonies, so that visitors can get very close to the penguins without disturbing them. From Camarones we set off on an all day drive following the South Atlantic coast. Tonight we will camp in a basic campsite. Estimated Drive Time - 9-10 hours. About Jaramillo: The desolate cold plains of Patagonia surrounding the tiny town of Jaramillo are a world away from how this area was in the Jurassic era (around 150 million years ago) - believe it or not, at that time the landscape was covered with dense evergreen confierous forests. This changed at the start of the Cretaceous era when volcanic eruptions and the birth of the Andes coincided to reduce the amount of rain and cover much of the forestry with ash and lava, petrifying large amounts of the forest. This ecological legacy has been left behind in Jaramillo, with many examples of fossilised trees and cones lying strewn about the landscape. Today we leave the coast behind and head west across the country to the town of El Calafate, the gateway to the Perito Moreno Glacier. In El Calafate we stay in dorm beds in a lovely hostel. Estimated Drive Time - 10-11 hours. About El Calafate: El Calafate is a small town on the southern shore of Lago Argentino in Patagonia. Originally a sheep station and trading outpost, today the town has developed a bustling atmosphere and an ever-growing tourist trade. Interestingly the town takes its name from the Calafate berry, and locals claim that if you eat one of these and make a wish, you are guaranteed to return to Patagonia. Most people base themselves here to visit the nearby Perito Moreno Glacier, located a short distance away at the southern reaches of the Los Glaciares National Park - the glacier is one of the most famous and spectacular glaciers to be seen anywhere in the world. The Perito Moreno Glacier is approximately 30kms long from where it spills out of the Southern Patagonia Ice Field, and 5kms wide at its terminus, where it has a ice face that is on average 170m high (with about 70m of which is above the surface of the lake). Visitors can view the glacier from an incredible viewpoint only a few hundred metres away from its face, where if you're lucky you'll see some of the ice face carve off into the lake under the pressure of all the ice behind it! It is also possible to take a boat trip to get extremely close, or embark on a challenging ice-climbing expedition on the glacier itself. Border information: Exit Argentina at Cerro Castillo and enter Chile at Cerro Castillo. Today we will drive to the world-famous Torres del Paine National Park. This is one of the most outstanding areas of natural beauty in the world and the main highlight of the trip for many of our passengers and leaders! We will stop en route in Puerto Natales to stock up on supplies and pick up our local guides and cook who will accompany us during our time in the National Park. Tonight we will camp at Camping Pehoe, a stunning campsite inside the National Park with incredible views of Los Cuernos mountains, which we will refer to as our 'base campsite'. Estimated Drive Time - 6-7 hours. About Torres Del Paine National Park: Torres del Paine National Park contains what is undoubtedly some of the most spectacular mountain scenery in the world. Rising up high above the Patagonian steppe are the three impressive granite towers that give the park its name, surrounded by high plateaus and towering mountain peaks, the most famous of which are Los Cuernos and Paine Grande. The park is a magical natural wonderland full of deep lakes, sparkling glaciers and cascading waterfalls, and it is also an important habitat for a wide variety of wildlife including guanacos, pumas, flamingos and condors. The best way to explore the National Park is definitely to get out on foot - the region is criss-crossed by a good network of trails, making it possible for you to see all the main sights either by doing a series of day hikes or embarking on a multi-day walk such as the famous W-walk, stopping off at the park's refugios or camping along the way. Horse riding and kayaking can also be arranged locally, and boats and catamarans offer trips across Lago Grey and Lago Pehoé in season. Dragoman offers two options for your time in Torres Del Paine National Park: - Base Package - Camping at Lago Pehoe, full board and a guided trek on our final day to the stunning three peaks viewpoint is included on all Dragoman Patagonia packages. - Full W-Walk - Optional upgrade to embark on the 4-day W-Walk with a local guide. Places at the campsites are limited by the National Park, so it is important to pre-book this option with your sales agent at least 60 days before your trip as it is not possible to book on arrival. Today is a free day for our passengers on the base package. W-Walk Group - We will transfer by truck to take the morning Catamaran across the lake to Paine Grande. We will then begin our first trek with our local guide along the edge of Lago Grey to an excellent viewpoint over the spectacular Grey Glacier. We will then trek back to Paine Grande where we will camp overnight. Approximate walking distance: 22 km, estimated duration: 8 hrs. (alternatively, you may turn around at an earlier view point, making the trek today 4hrs). Activity Approximate Cost W-walk extension The extension package includes the full W-walk, with three nights camping on the W-Walk trail within the Torres del Paine National Park, with facilities, food and the service of an expert English-speaking local guide. Please note that this package must be prebooked at least 60 days in advance through your sales agent. From September 2018 onward the W-Hike will be included in the price of the kitty and this itinerary will run as follows: Embark on the full W-Walk with a local guide. Places at the campsites are limited by the National Park, so we book them in advance of your trip. We will be trekking the W-Walk from West to East, to enjoy the spectacular views. This morning we will wake early and transfer by truck for the morning Catamaran at approximately, to cross Lago Pehoe. We will then set up camp at Paine Grande, before continuing on our hike towards Glacier Grey. You can choose to hike to the first look out to enjoy views of the Glacier (approx 4hrs round trip) or to continue to the second look (approx 8hrs round trip)!! Both walks return by the same route. Base package group: Today is a free day on our Base Package. There are many short walks and other fantastic optional activities. Alternatively it's a great day to simply relax and enjoy the spectacular views from the campsite. W-walk group: Today we will depart Camp Paine Grande and hike into the French Valley, in the afternoon we will continue onto Camp Cuernos. The hike is approximately 6 hours. Activity Approximate Cost Zodiac boat trips, horse rides and trekking in Torres del Paine National Park CLP 50000 From September 2018 onward the W-Hike will be included in the price of the kitty and this itinerary will run as follows: Today we depart from our camp at Paine Grande and hike into the stunning French Valley. In the afternoon, we will make our way to Camp Cuernos. The hike is approximately 8 hours.